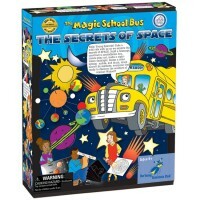 Stick the 12 stars and moon to the walls or ceiling and fill your room with out-of-this-world magic glowing. 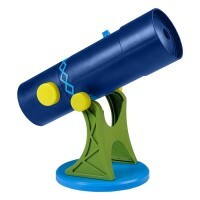 Turn your room into a planetarium with our Glow in the Dark Moon & Stars Set. 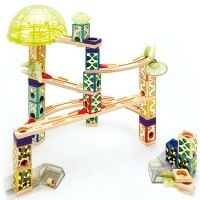 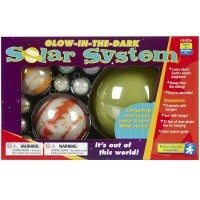 This glow stars play set from Educational Toys Planet includes a 11.5 in. 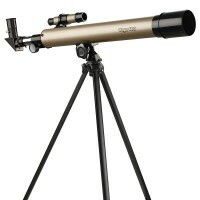 crescent moon and 12 assorted sized stars. 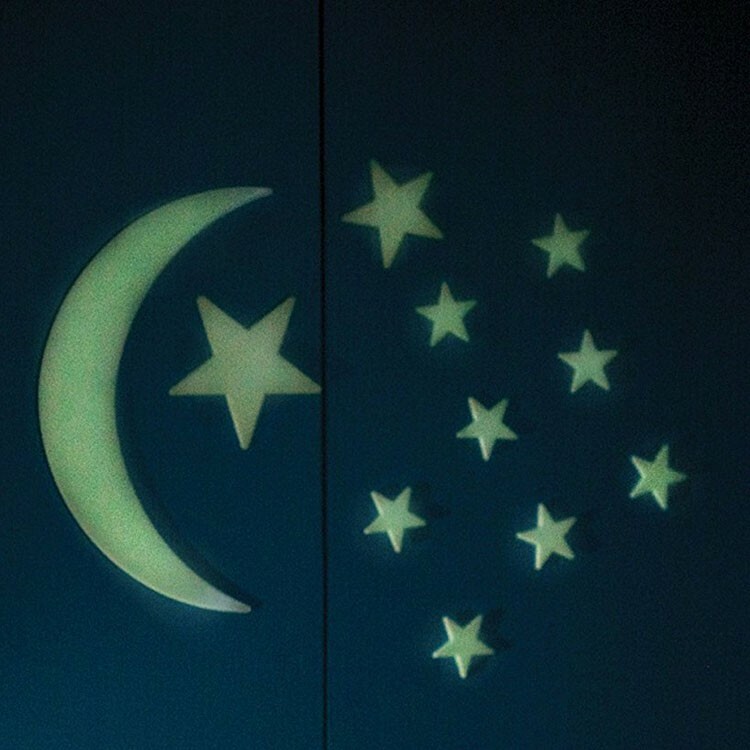 Stick the stars and moon to the walls or ceiling and fill your room with space glowing. 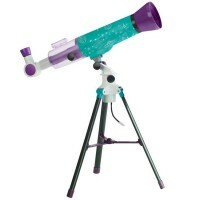 Expose the moon and stars to a light sources for a minute. 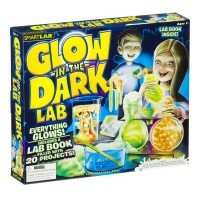 Turn off the light and watch them glow. 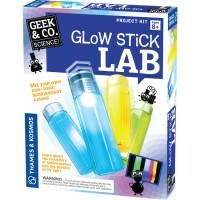 They will glow like magic in the darkness. 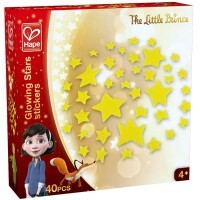 Recharge these glowing stars, and they will glow again and again. 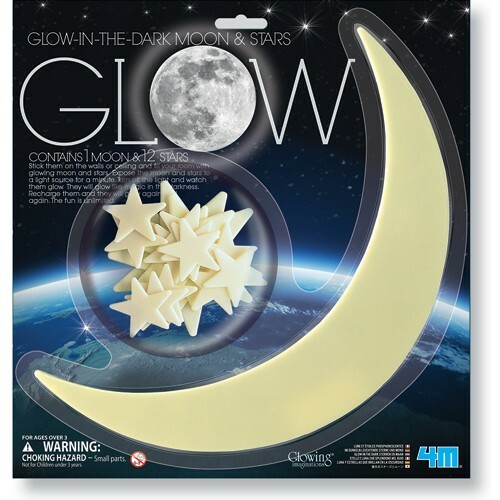 The fun and beauty is unlimited with the Glow in the Dark Moon & Stars Set. 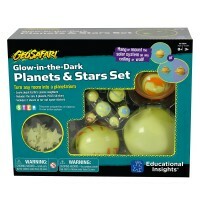 Dimensions of package 0.25" x 11" x 11.5"
Write your own review of Glow in the Dark Moon & Stars Set.